We were mesmerized by this beautiful card created by Joyce as soon as we saw it. 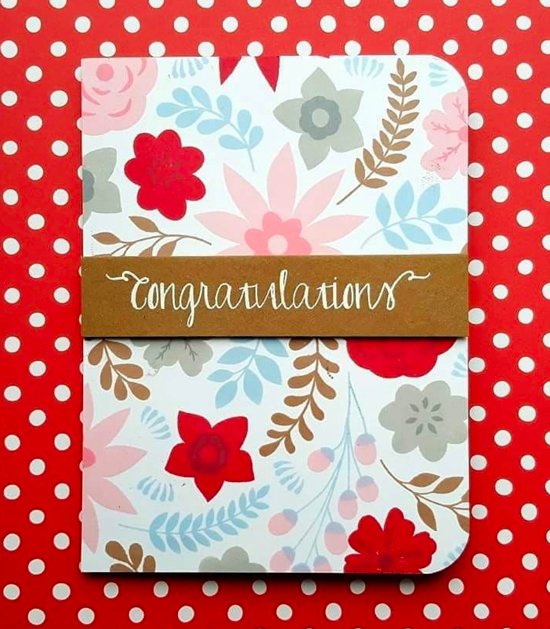 An impressive display of stamped florals in a gorgeous color combination featuring pinks, reds, blues, grays, and browns. Absolutely stunning! 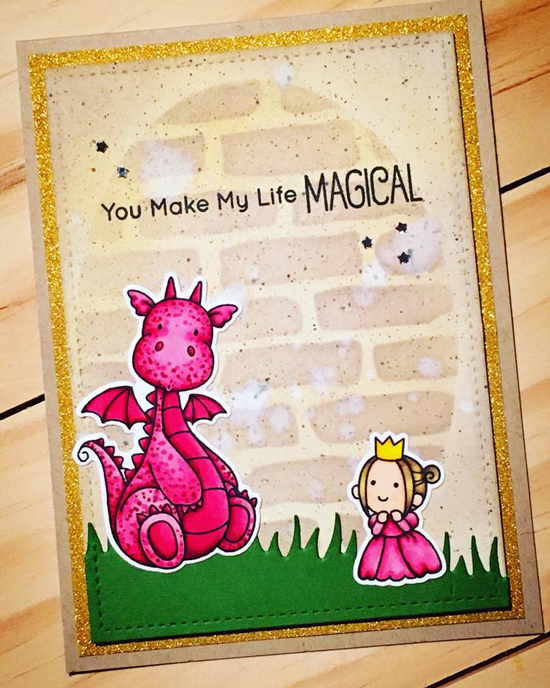 Emily created a sweet scene with the Magical Dragons stamp set and went with a bright and bold color palette to really make her characters stand out in her design. The addition of the bricks in an oval pattern adds detail to the background while the soft colors provide a great backdrop for her stamped sentiment. 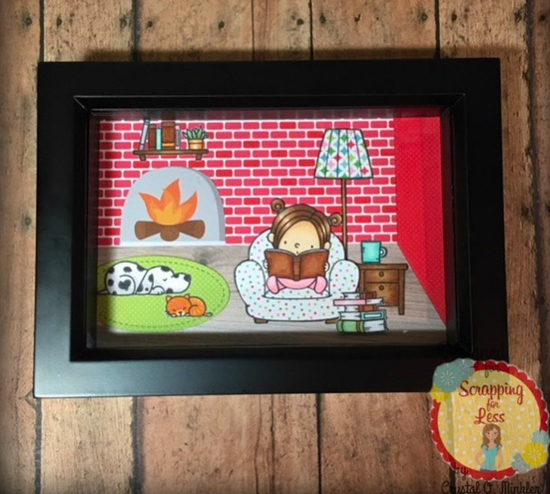 Crystal created an amazing framed scene featuring the Our Story stamp set. The realism and dimension achieved within the story she created are incredible, and we're so impressed with her attention to detail with all of the little elements added. 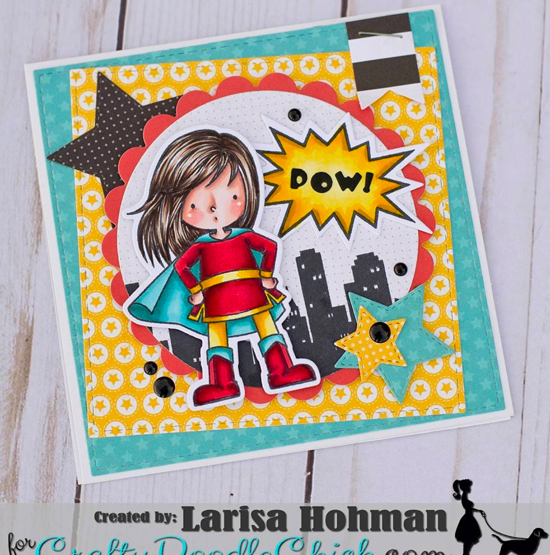 We adore the fun color combination Larisa chose for her super girl card. The layered background panels coordinate perfectly with the colored image, which is picture perfect with fantastic blending and shading. 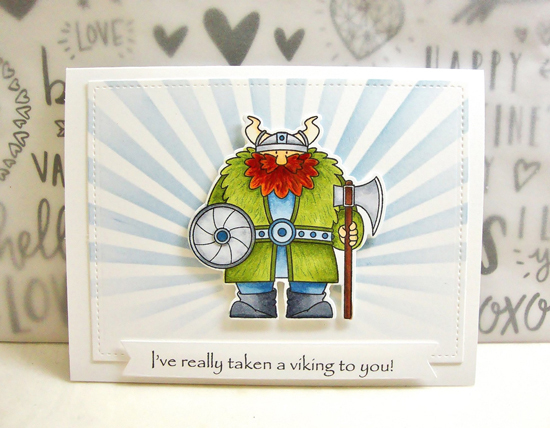 The vibrant green and orange on Theresa's Viking card immediately caught our attention. The shading on both his beard and coat are so precise that we can feel how soft they are! The Radiating Rays behind him add the perfect amount of detail without taking away from the focal image. Such fabulous designs! 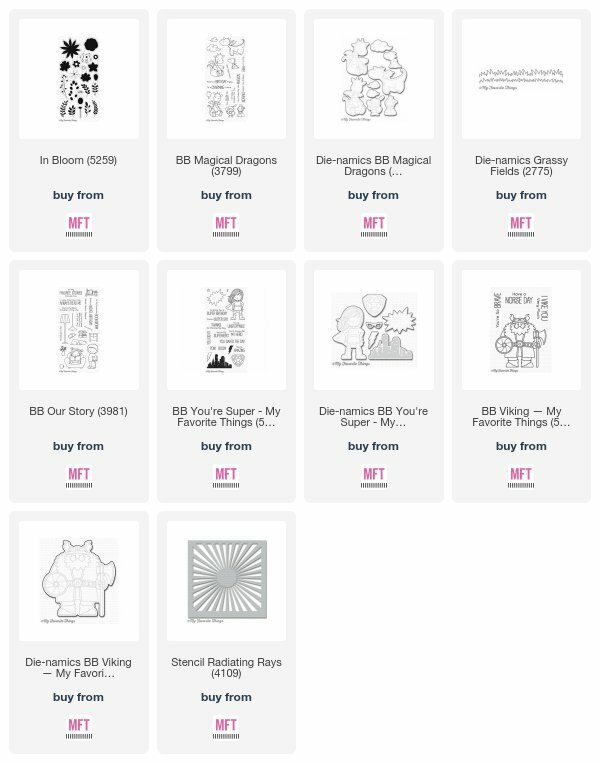 Love them all but I have to admit that the viking cracks me up! Thanks for sharing my card!! !